Environmental Studies majors take part in a unique 3-quarter Capstone experience combining professional development, a built-in internship (locally or abroad) and a public presentation tying in their academic research with their practical on-the-job work. Students gain valuable hands-on experience exploring potential career paths and they build communications, research and analytic skills that serve them well beyond their time at college. Read more about what the student experience is within our Capstone, in this first post in our Student Capstone Q&A Series. 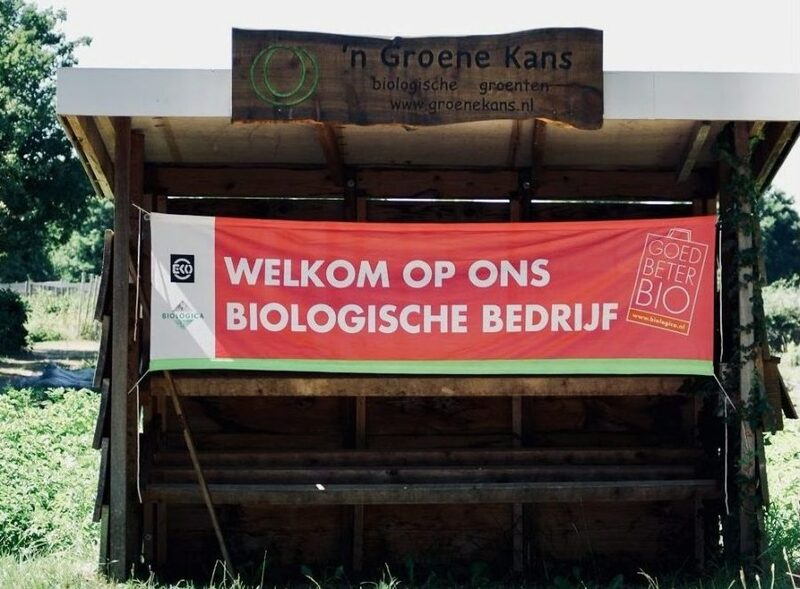 This sign at n’ Groene Kans farm reads, “Welcome to our Organic Company”, and is only hung on Saturday during the farm’s on-site market day. During Winter quarter (2018) I asked Beth Wheat if she knew of any programs that involved working on a farm in a study abroad format. I was highly interested in going abroad for my Capstone, and she suggested the program WWOOF (World Wide Opportunities on Organic Farms). I looked into the program before Spring Quarter started as I wanted to get a jump start on planning for my Capstone. I explored a few options in India, New Zealand, and the United Kingdom, but decided on the Netherlands because I had heard a lot about their agriculture sector. The Netherlands is ranked second in the world, next to the United States, in exporting agricultural goods. This is pretty remarkable, considering the Netherlands is just 41,500 km^2 with around 18 million people; it shows that small countries can pack a large punch on the world market if they optimize their growing space. What environmental challenges are you addressing? Why is this important? The environmental challenge I chose to focus on is sourcing local food products. Sourcing locally, as opposed to transporting mass quantities of food vast distances, has been linked to benefiting the environment, economy, and human health. I believe that sourcing locally is also important because it re-establishes a relationship with consumers and their food; we as a society are accustomed to walking into a grocery store, picking out some vegetables or fruit, and leaving the store without knowing where and who that produce is coming from. Carly tending to a container of seeds she sowed during her first week at n’ Groene Kans (broccoli, cabbage, kohlrabi, and curly kale). She sowed over 300 seeds during her stay. What are the goals of this internship, and what are your expected deliverables? 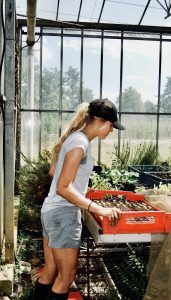 My goal for this internship was to gain an abundance of knowledge about organic farming, and the struggles and opportunities that farmers encounter when selling directly to consumers. The internship aligned with my research question(s), which were: How do direct farm marketing strategies vary by region, and what are the struggles and opportunities that farmers encounter when directly selling to consumers? My deliverables included a written document to my host family (the owners of the farm that I lived and worked on while in the Netherlands) summarizing the farm’s operations and suggestions for how to improve their operations. I also was a part of the brainstorming session for re-designing the farm’s website layout and web-shop format. The web-shop attributes more than 50 percent of the farm’s income, so it was important to design a website that will continue to contribute to the web-shop’s success. What does a day in the life of your internship look like? I spent 4 weeks in Groenekan, Netherlands working on a farm, and am now back in the United States interviewing farmers in Colorado and Washington for the other half of my Capstone. 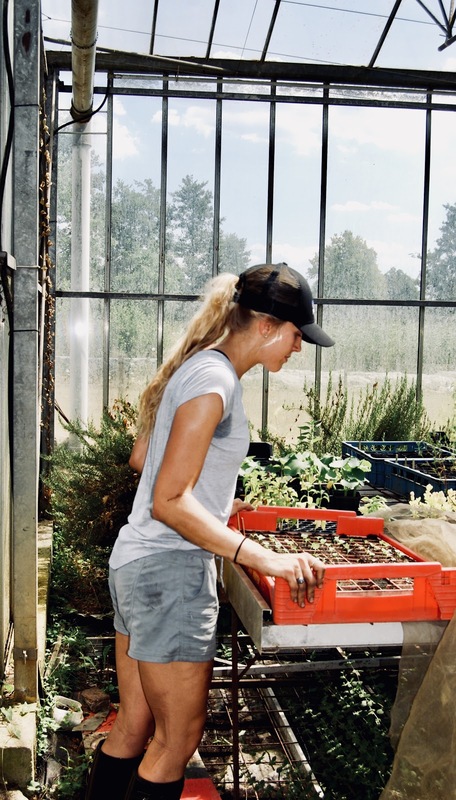 While I was in Groenekan, a typical day began with waking up at 5:30am and working in the greenhouse until 8:00am before taking a break for breakfast. We began with work in the greenhouse because in the late mornings and early afternoons it would become too hot to work comfortably. After breakfast we usually prepared beds for planting, sowing seeds, weeding, watering, etc. until 1:00pm when our work day ended with lunch. What skills have you learned throughout this internship? Although I only stayed for 4 weeks, the amount of knowledge and set of skills I gained was extensive. My hosts Floor and Jan treated me as an intern, – as opposed to past WWOOFers who only stay for 2 weeks to volunteer for fun – so they took their time teaching me how the farm operates and trusting me with more tasks than normal. In fact, one weekend my host family left for a family reunion and I was entrusted with taking care of the farm, delivering produce to the organic food store, and taking care of the animals. I learned how to use a flame burner to burn away small weeds after sowing seeds, install a sprinkler system in the greenhouse, prune different types of vegetables, and so much more! The most important thing that I learned though, is just how hard farmers work. I’ve always known that farmers are hard workers, but it never dawned on me just how hard they work until I was working alongside my hosts. What is the most memorable moment of this internship so far? One of my most memorable moments happened after farm working hours. My hosts had a plethora of black and red currants growing – more than what they could sell in their web-shop or their Saturday shop – so we made a huge batch of jam. We stayed up until almost midnight making jam, even though we knew we had to wake up early the next day to begin work. We laughed a lot, shared stories, and I was able to ask more questions about farming that I wasn’t able to have answered during our working hours. What are your career aspirations once you graduate? My long term goal is to open a farm-to-table restaurant in Washington where I locally source food from Washington farmers. My goal is what inspired me to work on a farm for my internship, and it’s why my Capstone question looks at the struggles and opportunities that arise from direct farm marketing because, one day, I will be buying directly from the farmers and aiming to pay them fairly for their work.